This section of Excellent Romantic Vacations will zero in on romantic honeymoon spots in the U.S. like Alaska and Florida, along with a few more exotic ones in places like Paris, New Zealand, Belgium and Majorca, Spain. Alaska Honeymoon Spots - escape the lower 48 for a wilderness honeymoon like no other. We take a look at romantic packages and honeymoon lodges, including the terrific Pearsons Pond. 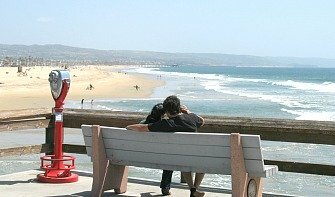 California Honeymoons - Northern, Central and Southern California's best honeymoon spots, hotels, suites and tour ideas, including oceanfront resorts, wine tours, scenic drives and much more. Catalina Island Honeymoon Hotels & Packages - our new guide for 2017 to honeymoon suites and spots for newlyweds in Avalon on California's gorgeous Catalina Island. Florida Honeymoon Resorts, Packages & Ideas - an overview of some ultra-romantic honeymoon spots in Northern, Central & South Florida, including resorts, packages and ideas for your honeymoon itinerary in the Sunshine State. Sanibel Island Honeymoon - secluded and serene, with low-rise laid back beach accommodation and sunsets that are spectacular. Key West Honeymoons - a honeymoon vacation in the Florida Keys means you can "go Caribbean" while staying in the country. Marco Island Honeymoon Vacations - relax and enjoy this beautiful spot on the Florida Gulf Coast, with this guide to honeymoon hotels and suites, packages, day trips and more. Las Vegas Honeymoon Ideas & Hotels - our report on Las Vegas and the most romantic things for honeymooners to do there, as well as tours, hotel suites and packages for newlyweds headed to Las Vegas, Nevada. Branson, MO Honeymoon Planner - put together a great honeymoon in Southwest Missouri's Ozark Mountain region with our report on romantic honeymoon accommodation and things to Do in Branson, MO. Includes honeymoon suites, cabins and B&B's. 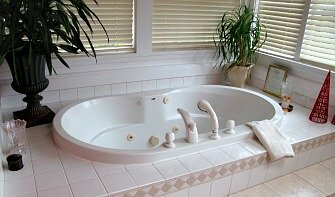 Niagara Falls Honeymoon Suites with Whirlpool Tubs - a look romantic suites with private in-room spa tubs at the Marriott Fallsview Hotel overlooking beautiful Niagara Falls, Ontario. 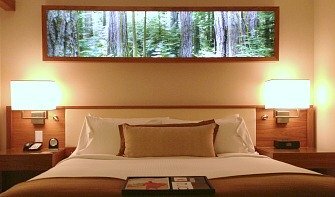 Ohio Honeymoon Packages and Hotels - if you're getting married in Cleveland, Cincinnati or Columbus OH, you actually don't have to travel for for a great honeymoon. Have a look at our "brand new for 2016" page on Ohio's best honeymoon packages, hotels and things to do for newlyweds in the Buckeye state. Texas Honeymoon Hotels & Packages - a complete guide to having a most romantic honeymoon in the Lone Star State. Discover activities, accommodation in hotels and inns, romance packages and more in Dallas, San Antonio, Houston, Texas Gulf Coast & more. Belgium - medieval walled cities and towns in this compact European country are very romantic places to honeymoon. The food and beer are fantastic too. Mallorca - this Balearic Island hot spot has some incredible beaches and inland hill towns to explore. 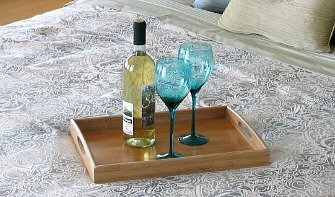 We'll show you the romantic "Finca" a we stayed in overlooking a beautiful olive grove. Paris - Paris remains an incredible honeymoon spot. We've chosen 5 hotels for romance, and some locations and activities not to miss for your Parisian honeymoon experience. Hot Deals on Honeymoon Vacation Rentals - Romantic rentals for an amazing and affordable honeymoon in the U.S., Hawaii, the Caribbean and Europe. Jamaica, Dominican Republic & Mexico Honeymoon Deals - Breathtaking Resorts with Big Savings! Free Honeymoon Extras at Sandals Resorts - Sparklng Wine, Evening Turndown & Breakfast in Bed at a Ultra-Romantic Caribbean Resort. TripAdvisor's Top Hawaiian Honeymoon Resorts - Reviews by couples of romantic resorts on Oahu, Maui, Kauai and the Big island. Honeymoons Under $2000 - a collection of our best tips on how to getaway on a budget-friendly honeymoon that's still romantic. 1. Don't Cheap Out - you're going to have plenty of other opportunities to impress your new spouse with your money-saving skills while travelling. Your honeymoon is about the 2 of you. Don't wreck it with penny pinching. 2. Keep Planning In its Place - talk about what you want to do before hand, then go on holidays and relax. Don't suffocate your once in a lifetime voyage together with all sorts of micro-managing and itinerary fine tuning. Allowing for some spontaneity will make it all the more memorable. 3. Avoid Getting Hung Up on Review Websites & Social Media Posts - hotel and resort reviews are very useful, but use them right. Ignore the ultra good & extremely bad comments on the edge, and just go with the opinion of the majority. And once you find the right accommodation, book it and forget it! 4. Consider a Few Days Rest After the Wedding Before Starting your Honeymoon - especially if your wedding is going to be a big affair with lots of guests, try not to schedule so that you're leaving on your honeymoon exhausted. Just a few days break between cutting the cake and boarding a flight can make your time away much better and add value to your vacation. 5. Consider Upgrading Yourself - unfortunately, simply being on a honeymoon is no guarantee of special treatment anymore from airlines or hotels. So, rather than bank on the very slim chance for an upgrade of any sort, why not spend a little bit more and do it yourselves. Business class on a flight can be very expensive (unless you have enough frequent flier points), but Premium Economy can be affordable and adds that special little bit of status to an otherwise routine flight. And for your hotel or resort, consider booking something a bit special like a room with your own private plunge pool, or a Jetted Tub Suite.